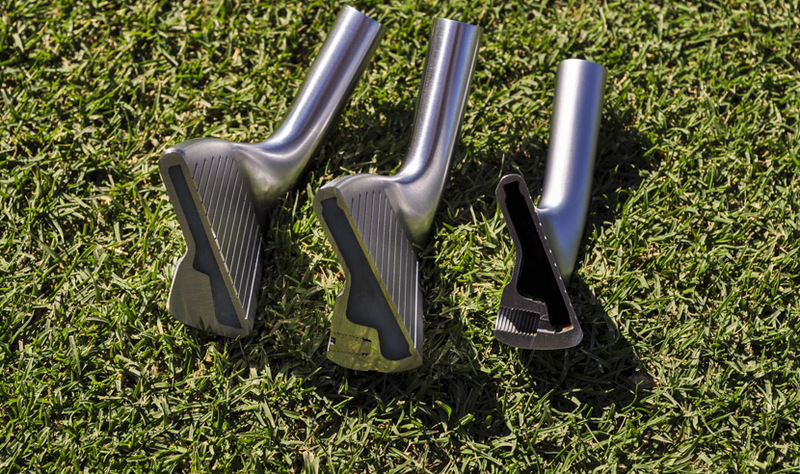 My last post identified a number of disadvantages of single length irons, primarily, hitting the wedges to 8 iron to long (because the shafts are longer than conventional) and hitting the 6-3 irons to short (as the shafts are shorter than conventional clubs). Apart from hitting the ball squarely, that is without the club face being overly open or closed to the target line and club path, the two factors that most influence distance are swing speed and effective loft. Effective loft is the actual loft of your club head at impact as opposed to the stated loft on the club you are hitting. If your hands are ahead of your club head at impact you have a good chance of matching the effective loft to the actual loft of the club. If the club head passes your hands at impact (flipping) the club will be de-lofted and the ball will fly a shorter distance. A couple of issues come into play. With the driver each MPH of club head speed generates approximately 2.4 yards of carry if the swing speed is in the 110 MPH range. Just as a point of reference the average swing speed on the PGA Tour is 112 MPH, which translates into an average carry of 269 yards. At lower swing speeds, around 90 miles per hour, each MPH of club head speed generates approximately 2.3 yards of carry. Again as a point of reference, the average swing speed on the LPGA is 94 miles per hour which works out to an average carry distance of 220 yards. As the swing speed decreases with the shorter clubs the carry distance per MPH is also reduced. A typical 7 iron swung at 78 MPH (the average on the LPGA) results in a carry of 141 yards, a distance of 1.8 yards of carry per MPH of club head speed. With single length irons, the 7 iron is the unofficial standard in terms of overall club length, in the range of 37 inches, and good male amateur players will swing a club of that length around 78 MPH. The question is what happens when you take a 6 iron and reduce the length by one half-inch. 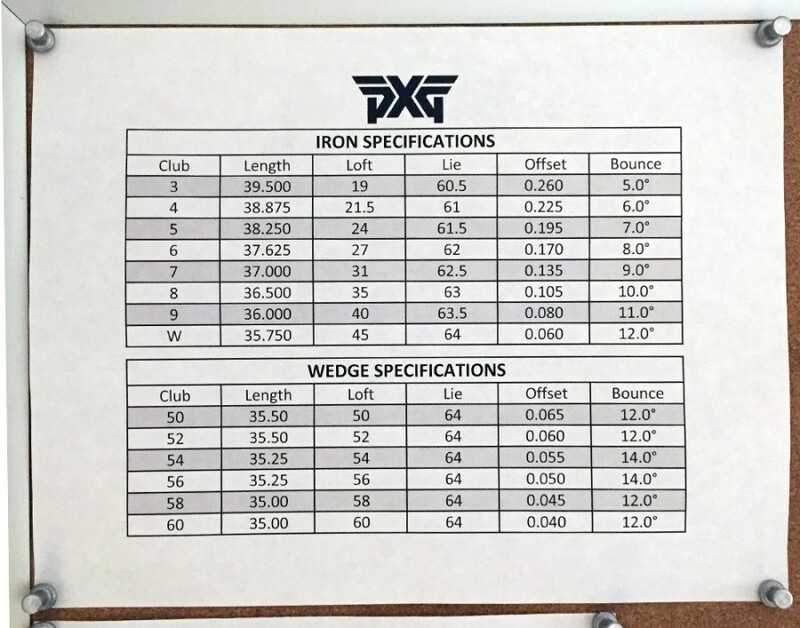 Based on averages a one half-inch reduction in overall club length will result in the loss of 1.5 to 2 MPH of swing speed which means your 6 iron will carry 2.7 to 3.6 yards shorter at a length of 37 inches than it would at 37.5 inches. By the same token, an 8 iron which would normally play at 36.5 inches when extended to 37 inches will fly 2.7 to 3.6 yards further. In the next post I will look at the effect of loft on ball carry distance. When you think about the concept of a set of irons that are all the same length both advantages and disadvantages become apparent. Because each iron is the same length (roughly equivalent to a 7 iron) your set up position will be the same with each club in the set. You will be standing the same distance from the ball with each club. The ball position (forward or back in relation to your feet) will be the same for each club. Because all clubs in the set are the same length and have the same lie angle your swing plane will be identical for each club. With conventional clubs the swing plane with the short irons is more upright (than a 7 iron) and more flat with the longer irons. Theoretically it is easier to master one swing plane than multiple swing planes. As the shafts are all the same length and the heads all weigh the same each club will have an identical shaft flex and swing weight. MOI (moment of inertia) will be identical for each club. 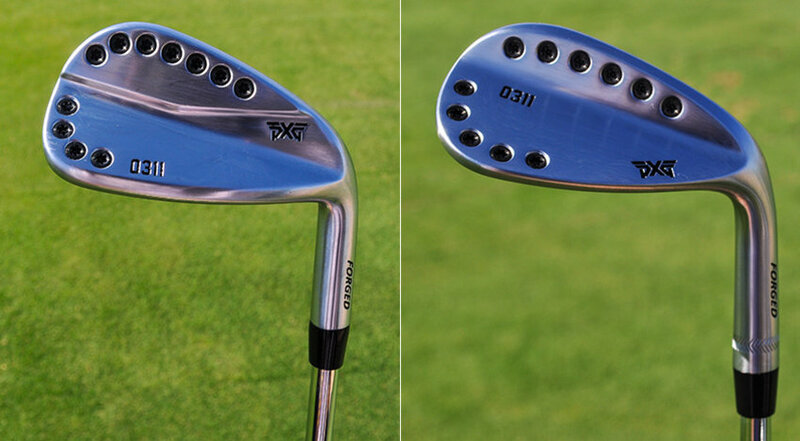 The bounce angle and offset for each club is identical (with the exception of the sand wedge). Because each club is the same length and the heads are all the same weight your swing with the 8 iron through lob wedge (which are longer than a conventional set) will be faster and the ball will go further. With the 3-6 irons (which are shorter than a conventional set) your swing speed will be slower and the ball will not go as far. It may be difficult to achieve the traditional 10 yard ‘gap’ between clubs. In a subsequent post I will examine the impact of club length on swing speed (and distance), as well as the effect of club loft on distance with a view to eliminating the two ‘disadvantages’ to single length irons. It is not unusual for golfers on the PGA Tour to switch equipment. Most players including Tiger and Phil did so at some point. The question is: is it about the equipment or is it about the sponsorship money that flows from such deals? Brooks Koepka recently signed with Nike. As they say in the golf industry money talks, and Nike speaks with ‘a loud voice’ when it comes to sponsorship money. That is why Zach Johnson’s equipment change comes as a surprise. As a 12 time winner on the PGA Tour with two Majors, the most recent being the 2015 British Open, Johnson could probably get an equipment deal from a number of big name companies. But Johnson did not sign with Nike, Taylormade, Ping or for that matter any of the big names in the golf equipment industry. He chose instead to join Billy Horshell, Chris Kirk, Ryan Moore, Charles Howell III, James Hahn and Rocco Mediate (not unknowns but also not in the golfing elite) and signed with an equipment company called Parsons Extreme Golf. If you have never heard of Parsons Extreme Golf you are not alone. Parsons Extreme Golf is an unknown. It is a company recently formed by Bob Parsons of Go Daddy fame with the aim of manufacturing “the best clubs in the world” regardless of price. The clubs Johnson will be playing are the PXG model, an innovative hollow core design with tungsten screws on the perimeter. It would appear to be a very forgiving players club with a very thin face. In the past some players on the Tour have stumbled, some mightily, after making an equipment change. It will be interesting to watch Zach Johnson in 2016. Johnson is known for his ball striking, especially with his wedges. As one of the shorter hitters on the Tour, Johnson relies on his irons and wedges to get it close on par 4’s and 5’s. That is key to his success. I’m thinking for Johnson to have signed with Parsons Extreme Golf, they must also have spoken with a fairly ‘loud voice’.